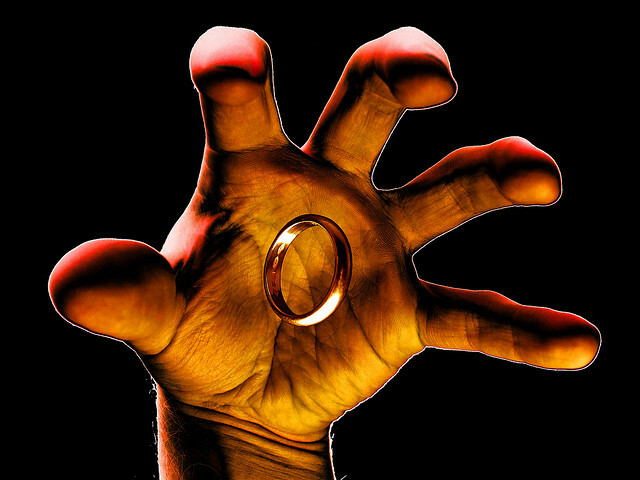 Everybody wants a Ring these days. Wagner's Ring. Yes, it seems that every self-respecting opera house wants to have a production of Richard Wagner's four-part operatic epic - The Ring of the Nibelungen - in their repertoire. In Germany alone, Lübeck, Hannover, Essen, Hamburg Berlin and Frankfurt all currently have one. And now Opera Australia wants to get in on the act. It is mounting a co-production that will premiere in Melbourne in 2013. But why? Performing Wagner's Ring is the biggest undertaking in the opera world. And opera has in recent years gone all out to position itself as a an artform of spectacle, especially in countries such as Australia that do not have a long opera tradition dating back centuries. That is fine. There are certainly many spectacular moments in opera, especially in the late-nineteenth century repertoire which dominates our stages. But there is more to opera than just the big, the loud and the lengthy. And it is this side that is getting blended out, with the result that many people who are not grabbed by the bombastic, the romantic and tragic are turned off by the whole operatic genre. Two of these best opera performances I have seen in the last twelve months have been relatively small affairs: Benjamin Britten's chamber opera The Turn of the Screw and Joseph Haydn's comedy Il Mondo Della Luna. Both were at the opposite end of the spectrum from Wagner's Ring. But both are still very much "operas", in the best sense. It is only when we get a rich variety of fare that we really come to appreciate what a thrilling, exciting and rewarding form opera can be. And one with much wider appeal than it currently has in Australia. Let's have the Ring but balance it with some more varied and less-frequently heard repertoire.